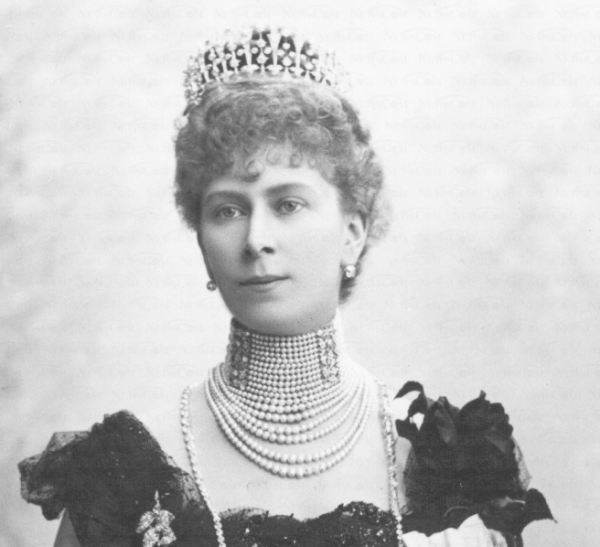 Mary of Teck was an official tiara-wearing member of the British royal family for six decades. Sixty years! And those years included a lot of tiara occasions, especially when you consider that Mary reportedly wore a tiara to dinner EVERY night. Even with a collection as vast as Mary's, you can imagine that she wanted to do some occasional renovations to spice things up a little bit. Today's tiara, the County of Surrey, was one that ended up on the chopping block. The Surrey tiara was a stylized fringe with floral elements and round diamonds making up each “picket” of the piece. To my knowledge, the maker of the piece has never been identified, but like many of Mary’s other wedding tiaras, it was constructed to be convertible. 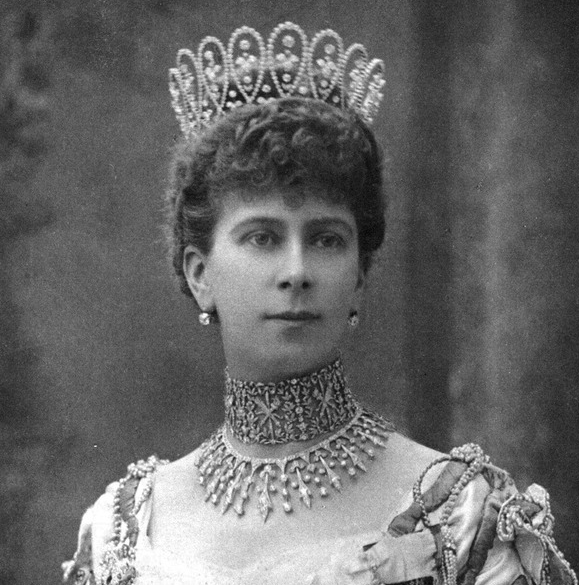 You can see the tiara off its frame and worn as a necklace in the image above; in the photograph, taken in 1905, Mary is wearing it below the Love Trophy Collar (which was made in 1901 by Garrard). Like the other tiaras we’re looking at this week, the Surrey tiara is no longer a part of the royal collection. In fact, it’s not a part of any collection. Even so, remnants of it linger in Windsor hands today. It was broken up around 1913, and Mary had the stones used in the creation of other jewels. The largest diamonds from this tiara ended up perched atop the Girls of Great Britain and Ireland Tiara (replacing the upright pearls that were transferred to her new Lover's Knot Tiara). 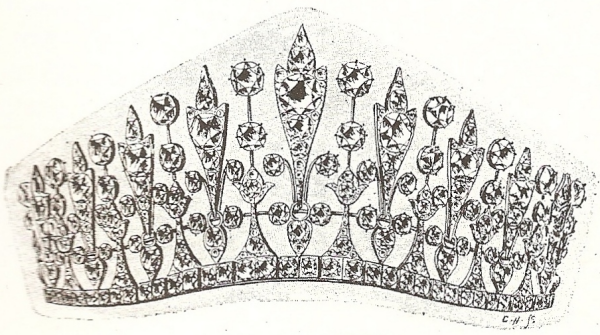 Other diamonds from the dismantled diadem were used in the creation of her Honeysuckle Tiara.